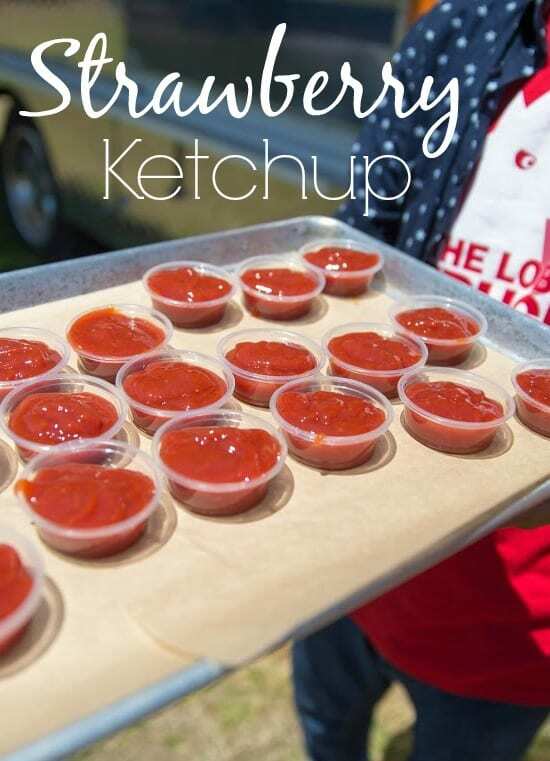 I can’t wait for you to try this Strawberry Ketchup recipe! 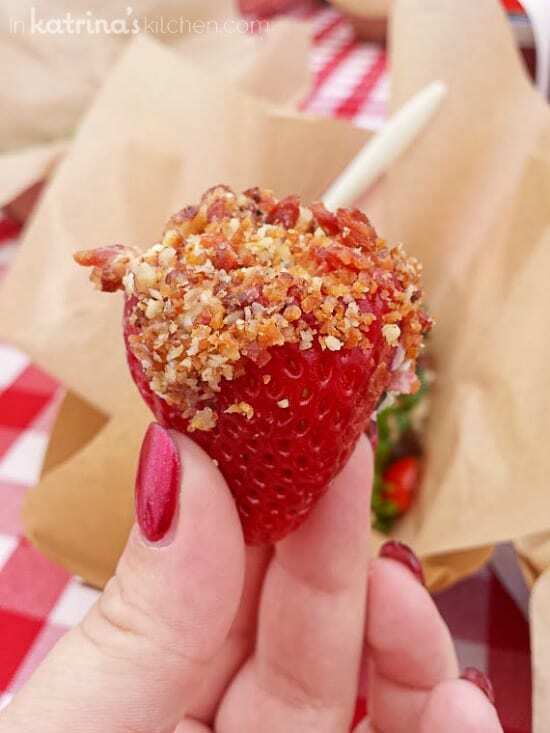 It was by far the most surprising strawberry dish I loved on the California Strawberries Farm Tour. Thank you to the California Strawberry Commission for inviting me! 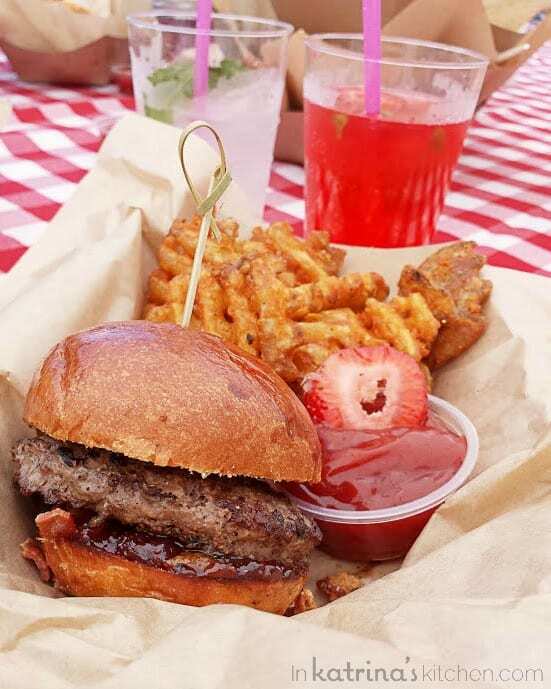 Yes you read that right- Sweet and Savory Strawberry Ketchup! More on that later. Oh strawberries! Just 2 weeks ago I was standing in a strawberry field in the middle of California (an experience I will not soon forget). It was gorgeous and I didn’t want to ever leave. I think I left my heart in California! Umm…errrrr…not that heart. I ate that one. 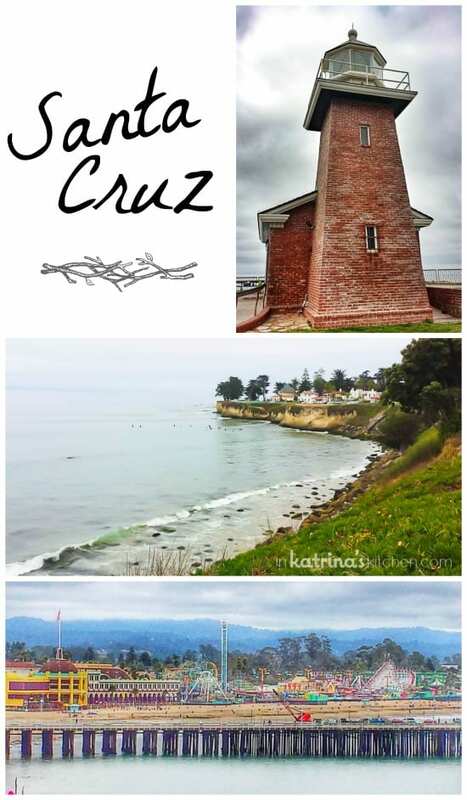 After a delicious and positively fancy dinner featuring strawberries in every facet of our meal we started the next morning with a leisurely stroll along the Santa Cruz wharf and boardwalk. It is a popular spot for surfing especially while the land-lovers were jogging, cycling, and walking their dogs. I would love to start every day that way! We were then shuttled off to a multi-generational strawberry farm run by Rod Koda and his wife Gwen. Rod and one of his daughters showed us around their 27 acre farm where they grow both conventional and organic strawberries. 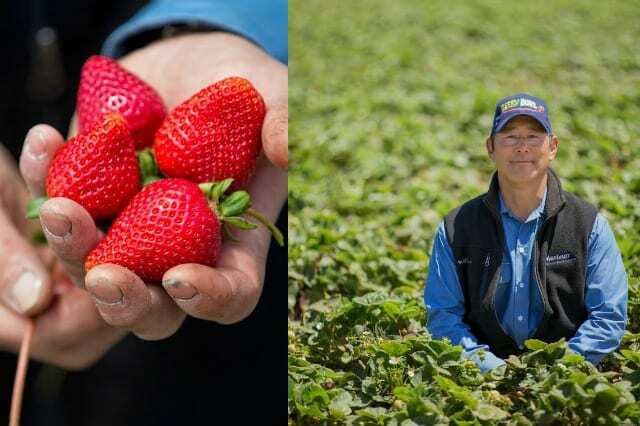 California strawberry farmers are among the most progressive and environmentally conscious in the state and have invested over $13 million in research and sustainable farming practice to reduce pesticide use and environmental impacts. 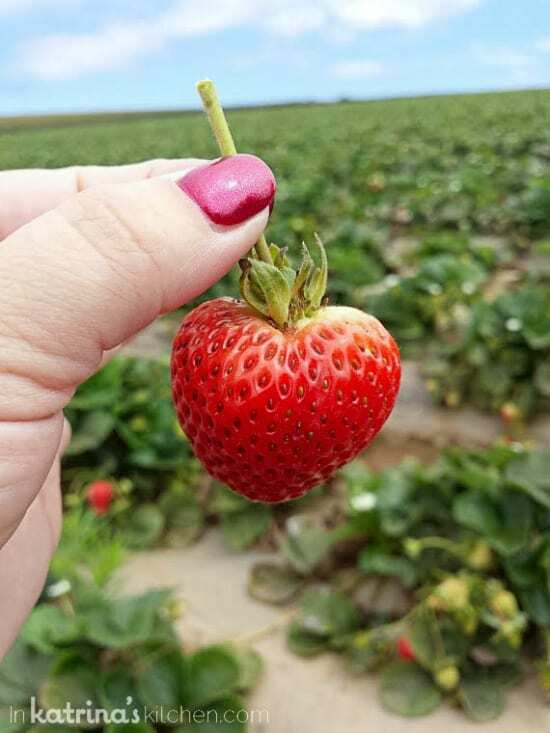 I was also surprised to learn that 1.7 BILLION pounds of strawberries are produced in California every year! There are also no GMOs. Are you sensing a strawberry and bacon theme?! I. Can’t. Even. On that note I have a special recipe coming later this week! 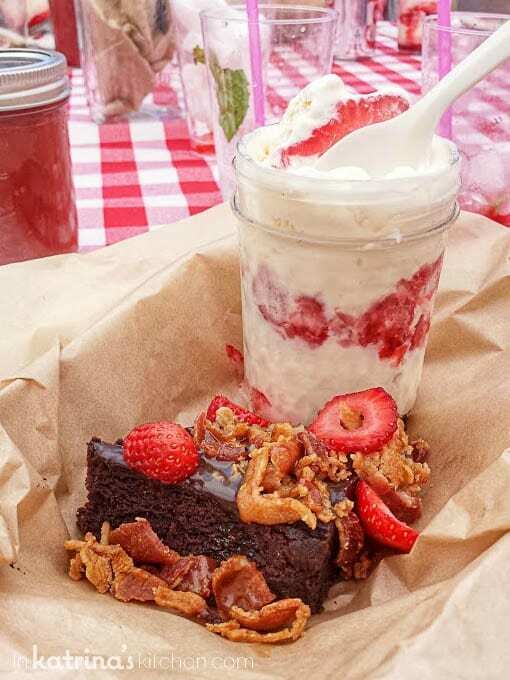 Until then- ohmygoodness Sweet and Savory Strawberry Ketchup. You must try it! (Recipe courtesy of Jasmine Wolf of The Lobos Truck). 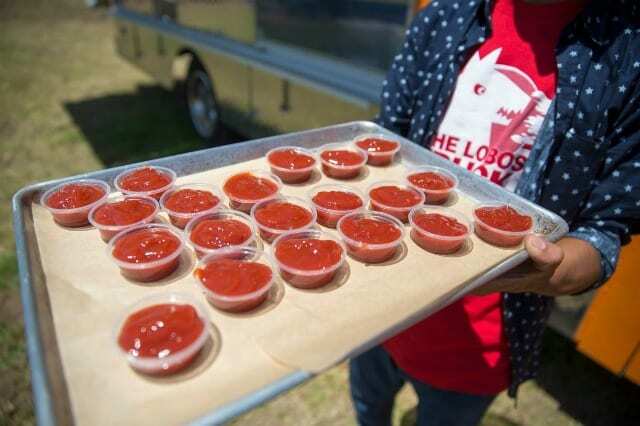 Your taste buds will thank you for making this sweet and savory Strawberry Ketchup! In a blender or food processor, mix ketchup, roasted strawberries & jam until smooth. 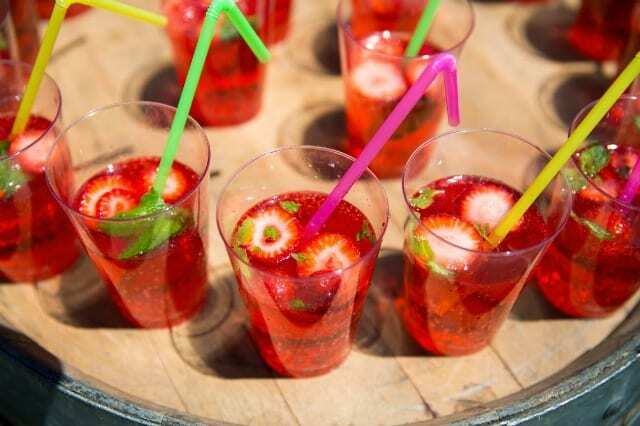 For thinner consistency add a little strawberry nectar/juice. 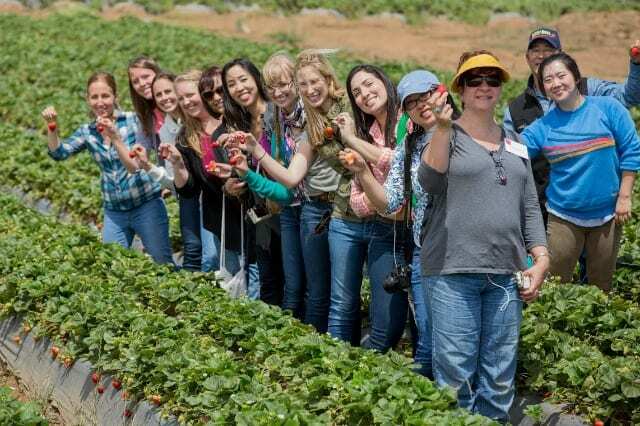 A huge thank you to the California Strawberry Commission for hosting this farm tour. We all had a blast! This trip and post were sponsored by the California Strawberry Commission. All opinions are my own. Photos not watermarked by In Katrina’s Kitchen were provided by our event photographer Robert Durell Photography, and used with permission. I remember that strawberry ketchup well!!!!! So glad you had fun friend! It was fun! I hope our travel/press trips coincide again soon. Miss you! I may or may not be shedding a tear that that burger and brownie are not in front of me right now. But at least I can have this strawberry ketchup that sounds oh so tasty! Ha! I loved this comment so much. Well just know that I probably ate enough for both of us on that trip! Love all of the pictures. The strawberries look gorgeous! That strawberry ketchup recipe sounds SO good! It was such a fun weekend! I had about 10 more pictures I could have included lol CA is one pretty state that’s for sure! What?! Strawberry ketchup. I love this!! It was pretty amazing. I hope you try it!